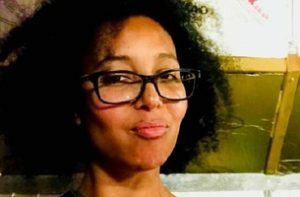 A supporter of emerging talent, Sohonet first met producer turned director Jemilah Findlay during their sponsorship of London-based short film competition Homespun Yarns. Findlay was producing on Ben Gough’s film, ‘How a Kite Flies’ starring Sir Ian McKellan. All of the four shortlisted film makers were provided the use of FileRunner to speed up the file sharing process and allow the teams to focus on their creative. Noticing the potential in Jemilah’s upcoming directorial work, Sohonet extended the services of their FileRunner software to her next intriguing project – her directorial debut. Sitting down with Jemilah, Sohonet find out what’s next for the new director and why it was crucial for files to be sent from set. Q> So, what are you working on now? 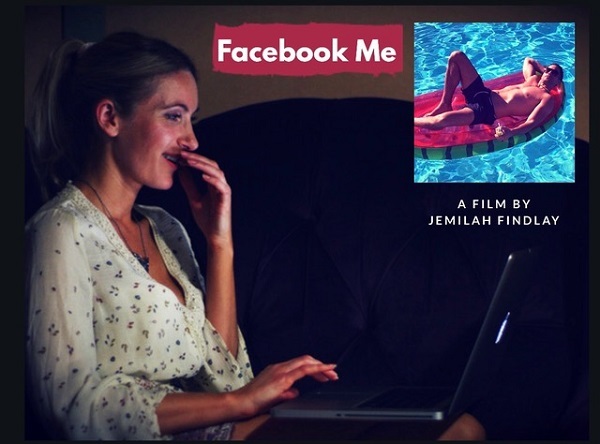 JF> My first short comedy-drama film called: ‘Facebook Me’ is being premiered on Friday 26th January, at 7pm, on a Dutch barge near Canary Wharf, London where most of the action was filmed. The story sees a young woman in a loving relationship, tumble down a metaphorical ‘Alice In Wonderland’ style rabbit hole when she joins Facebook. The propulsion comes from discovering that her ex-boyfriend is a Facebook friend of one of her colleague’s friends; and she begins to fantasise about having him back in her life. Q> How did you first hear about FileRunner? JF> My friend, Ben Gough, won Stitch’s 4th Annual Homespun Yams competition in 2017 to make his film ‘How a Kite Flies.’ I jumped at the chance to support him when his wife asked me to “help him out with his film.” Thanks to Stitch’s longstanding relationship with Sohonet we were able to use FileRunner on the project. Q> What challenges did you face before using FileRunner? JF> On both ‘How a Kite Flies’ and ‘Facebook Me,’ we were on incredibly tight schedules and budgets with limited team members. A key challenge was finding a way to get the rushes to the Editors who were situated at great distances from our locations. Sohonet’s achievement of a secure way to send rushes over the Internet was priceless. It effectively gave us an extra team member, as no one needed to make the physical journey with the footage. Q> How did you use FileRunner on the films? JF> Gaining confidence we took to sending the rushes from home at the end of the shoot. We all marvelled at the power of wifi and my husband and I have agreed we definitely need to upgrade ours! One of my favourite films is ‘Fight Club’. In it the Narrator says: “Fight Club became the reason to cut your hair short or trim your nails”, and we laughed that: “Sohonet becomes the reason to make sure you have the best internet connection”. As ‘How A Kite Flies’ moved on, we could download the various cuts of the film Chris Wilson, the Editor, shared from FileRunner and comment remotely. Q> What were the positive results of using FileRunner? Did it solve any other challenges? JF> Due to the time-pressured nature of both projects, working remotely with all Post Production Departments was crucial to achieving the deadlines. The Farm Group came on board ‘Facebook Me’ while Audio was being worked on in another location. The Farm Group’s longstanding relationship with Sohonet meant I was able to be in the Dub whilst working on the picture grade on my iPad. Sohonet’s gift of connectivity also saved me time. I was able to be fully present whenever the schedule required me to be there. I retained my ability to fulfil my obligation to other work commitments, family… and sleep a bit. Working with FileRunner and Sohonet’s personnel has been a revolutionary experience. At every turn and any hour, the team at Sohonet were available with proactive support. They went out of their way to engage with my production, and it was a pleasure to work with them. Q> What’s next for you? JF> I will be entering ‘Facebook Me’ and ‘How a Kite Flies’ into film festivals. I can’t talk about future projects quite yet, but I can say that I have been asked to direct a documentary and a reboot of a classic British Situation-Comedy. I am also working on financing my first Feature Film. I am really excited about all of these projects and can’t wait to talk about them.